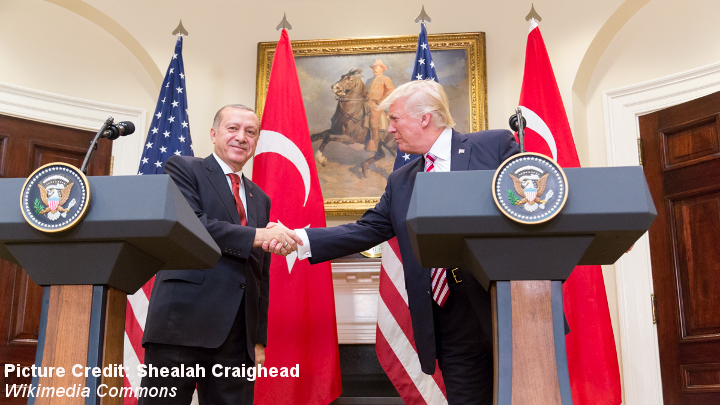 BACKGROUND: Since 2011 but more visibly since the 2013 Gezi Park protests, Turkey’s relations with the U.S. and the EU have become increasingly tense. Turkey’s ever deepening authoritarianism, virulent anti-Westernism and recent flirting with Russia and China have made dealing with Ankara a considerable challenge. Interestingly, Turkey’s turn toward authoritarian one-man-rule has come after a period of impressive economic growth, increasing political weight and overall recognition as a regional power house from 2003 to 2011. IMPLICATIONS: Although there is an increasing appetite to respond assertively to Turkey in European capitals, it is highly unlikely and technically extremely difficult to reach unanimity on suspending the accession negotiations. Suspending accession negotiations would only have a symbolic value as negotiations are already de facto frozen. The European Commission assesses that Turkey is no longer fulfilling the Copenhagen criteria, and basically waits for Turkey to return to the rule of law. The real issue between Ankara and Brussels is customs union modernization, something Ankara is keen to pursue. Although both sides have clear economic interests in modernizing the customs union agreement, recent German statements suggest that Berlin is likely to veto it. Besides, Ankara seems to underestimate the economic governance conditions that would inevitably come with the modernization of the customs union. Visa liberalization for Turkish citizens is currently off the table, as Ankara is unwilling to amend its anti-terror law and the overall political climate in Europe is far from favorable. Berlin has taken some unilateral measures such as limiting credit guarantees for German companies operating in Turkey and taking a closer look at the activities of Turkish NGOs, mosques and media in an effort to facilitate the release of German citizens in Turkish prisons. CONCLUSIONS: Turkey may be headed for a gradual divorce from the West. The Turkish leadership is not interested in a sudden rupture, but rather wants a gradual process that does not upset delicate balances both home and abroad. Ankara is fully aware of the mutual interdependence of the Turkish and European economies. Hence, it is keen on maintaining and even developing the economic dimension further with Europe. What we have at hand is the determination to facilitate a gradual political, social and cultural divorce coupled with a desire to free itself from the legal and political implications that association with Europe entail. Ideally, the “New Turkey” would maintain strong economic links with the West but would have an Islamist-nationalist posture that selectively cooperates with Western institutions when it sees fit, without the legal and political implications that come with full membership in the Western camp. This Turkey is keen to present itself as the moral and political leader of the underrepresented and underprivileged segments of the Muslim World. 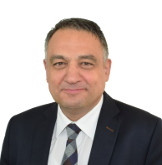 Suat Kınıklıoğlu is a senior fellow with the Central Asia-Caucasus Institute & Silk Road Studies Program, based in Stockholm.